Listed below are things that will help your tile and grout cleaning. These do’s and don’ts cleaning tips can aid in simplifying your daily routine, and, make your tile and grout tips cleaning much easier. Sticking with these easy measures will also help to preserve your tile, and, grout cleaner, making it easy. Use throw mats in areas of high traffic area like entryways, walkways, so, in front of the kitchen sink. Take the time to clean the tile, and, scrub out the grout. Get the area of tile you are working on wet prior to starting. A little time to soak in may help you save some time scrubbing. Make use of a tile disinfectant. This is fantastic for killing germs, bacteria, mold, and, mildew. Guarantee when you are done that you dry the area thoroughly. This will enable the tile to last longer. Seal your grouts or have them sealed on a regular basis (every 2 to 3 years). This helps them preserve their original color, also, it keeps the dirt out. Have fun. Take time to admire work when you are done. Use harsh adhesives which often could damage the tile grout. Allow water to sit on the tile for too long since doing so can get under the tile and cause damage. Mix ammonia along with bleach, which creates lethal chlorine gas. Use harsh chemicals. Sooner or later, these can destroy the grout and tiles. It might be wise to use a mild cleaner first, finally, gradually use a stronger solution to the level a required to remove spots. Use coarse scrubbers which could scratch the tile. Use colored cleaners which could stain the grout. 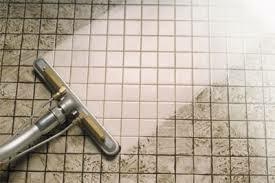 Maintaining tile and grout clean is very important for lengthening the life of tiled areas. These are the few essential tips to take into account while you clean your tile and grout. This tile and grout cleaning guide is provided to you by Graeme Stephens, an IICRC 2001 Master Restoration Technician. 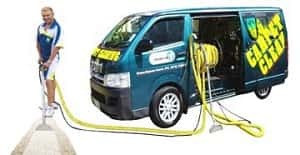 To help you with your tile and grout cleaning for your upholstery. Please phone 0800 783-266, or email Auckland Steam n Dry.